I could literally spend hours talking about how this wonderful TV artist influenced me, and inspired me to want to be the greatest artist in the twentieth century. I spent countless hours drawing and sketching as a kid, but never really understood depth, light or shadow until Jon came along. My drawings were usually army scenes, or Tarzan and jungle scenes. 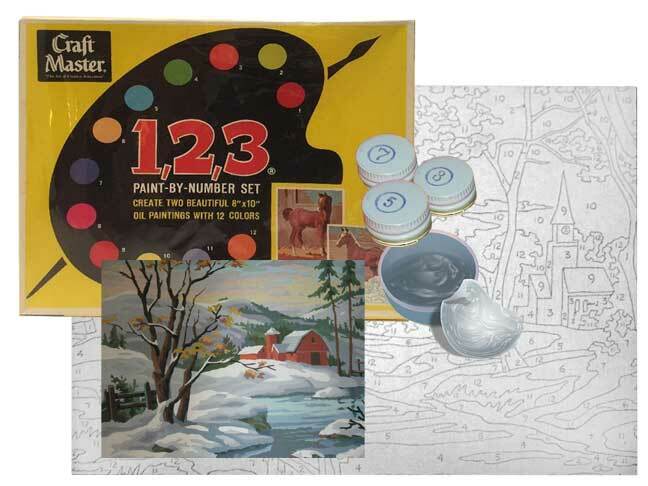 My mom was really big on paint-by-number sets, and no matter how hard I tried to get her to let me fill in a section, she refused. She did quite a few of these ranging from pastoral scenes to oceanscapes to Collie dogs (we had a collie). I remember the smell of the oils and the turpentine, thinking how important it all was to be doing a "master painting". The paint-by-number sets were also like models in the sense that one had to follow directions to finish a completed work. Before Jon Gnagy's influence, my primary utensils consisted of crayons and watercolors. Coloring books were great; I had many of them. I had coloring books depicting Lassie, clipper ships, cowboys and indians, TV show stars like The Lone Ranger, Mighty Mouse, Superman, and many more. I became quite adept at "staying within the lines", though it took hours of practice. Jon Gnagy's TV show greatly inspired me to expand my repertoire of drawing techinques. Pencils became more than just drawing sticks; they became shading implements that took me quite awhile to master. 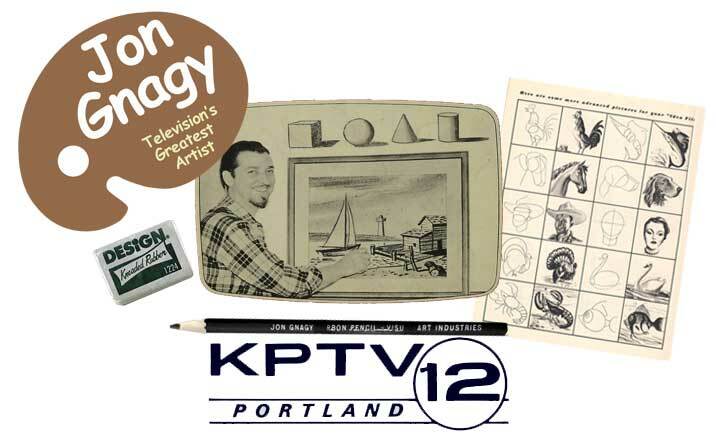 For Christmas of 1962 I received a Jon Gnagy Learn to Draw set. I was ecstatic! I was crazy about the different shades of chalk sticks that came with the set. The notion of sharpening my pencils on a sandblock really amazed me, but I still preferred an old fashioned pencil sharpener. I must poured through his instruction book for hours trying to figure out how I was going to be the ultimate artist like Jon. Here I was, in second grade, already trying to become the next Jon Gnagy! Saturday afternoons hold a very special place in my memories as we gathered in the living room to watch television's greatest artist Jon Gnagy perform miracles with pencils, charcoals, and chalk. Jon inspired most of the artwork that I do today. In fact, I've developed a sincere love for gray and cloudy skies because that's how Jon's skies looked on black and white TV. My dad would always give me a bag of Blue Bell Bar-B-Q potato chips as a special treat during the show. I sure looked forward to those special Saturdays, eating BBQ chips and watching Jon. 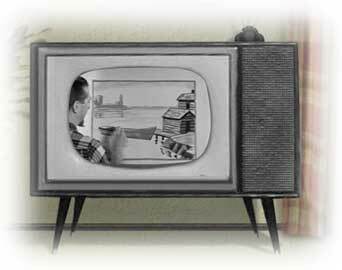 One particularly great memory for me was when we were gathered around the TV. It was an average afternoon on a cold winter day, one of those cold and lazy days where you just want to stay in. We'd just finished watching Jon Gnagy. There was a movie that followed and it was the great class "The Beast from 20,000 Fathoms". 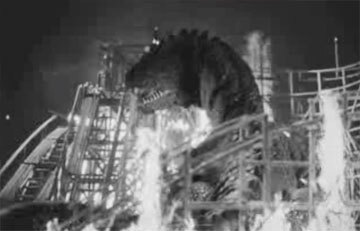 I'll never forget that scene where the monster attacked the roller coaster ride at Coney Island. What a great afternoon of TV that day was! And to think, it was all preceded by the wonderful Saturday morning TV lineup of all my favorite shows. 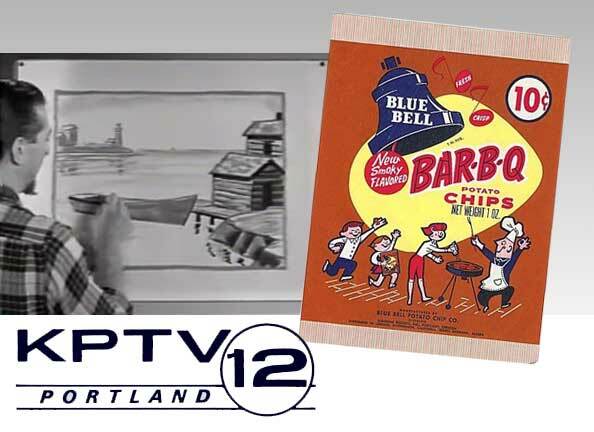 Check out the clip below of a vintage TV clip of Jon drawing a fishing village scene! You can also watch him do a snow scene here. 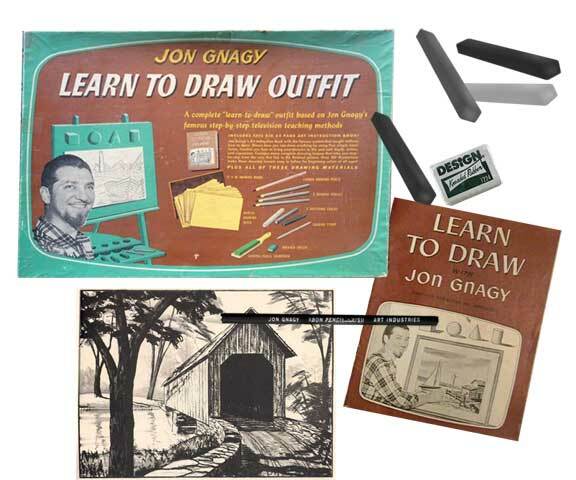 Learn to Draw with Jon Gnagy!